Point2 Homes gives you far more than a simple list of houses for sale. Get instant access to a lot of relevant information about Vanier, Old City, Ottawa, ON real estate, including property descriptions, virtual tours, maps and photos. The search results pages also have a wealth of information on Vanier, Old City, Ottawa, ON, if you scroll all the way down. 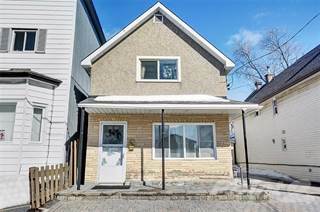 There are 37 houses for sale in Vanier, Old City, Ottawa, ON. Searching homes for sale in Vanier, Old City, Ottawa, ON has never been more convenient. With Point2 Homes, you can easily browse through Vanier, Old City, Ottawa, ON single family homes for sale, townhomes, condos and commercial properties, and quickly get a general perspective of the real estate prices. Also, you’ll never miss a bargain if you filter listings based on house price drops in the past six months. Use the map view to find Vanier, Old City, Ottawa, ON homes and apartments for sale, based on amenities or city features that you may want close by. You can close in on a specific neighbourhood or area by simply drawing around them with the polygon or radius tools. Stay informed about the latest entries on the real estate market by saving your searches. This way, you get new listings in your inbox, daily or every week, based on your preferences. If you’d like to get in touch with a professional, agents are displayed next to their listings, and they’re easy to contact through the online forms. If you want more options, you can click the Tools tab and Find an Agent, and you’ll get a list of helpful and knowledgeable real estate agents in Vanier, Old City, Ottawa, ON. Visit the Point2 Homes blog and you can find up to date expert advice on many markets throughout Canada, regular market reports, neighbourhood scoops in cities throughout the provinces, real estate deals and useful recommendations. Vanier is a neighbourhood on the rise. With their strong community spirit, the residents are transforming their beloved Vanier into a prosperous, up-and-coming neighbourhood. Once regarded as one of Ottawa’s “rougher” areas, it now has a bright future. Vanier has a history dating back to 1908, when three villages amalgamated to form a town called Eastview. In 1963 this became a city, owing to a large influx of French-Canadians. Three years later, it was renamed Vanier in honour of the recently deceased Governor General, Georges Vanier. It wasn’t until 2001 that the community officially became part of Ottawa, Ontario. This is a neighbourhood that will continue to grow and prosper, making it ideal for investors or anyone looking to live in an area that is in the process of rejuvenation. Over the last few years, people have felt the positive changes occurring in Vanier – there is a real sense of excitement in the air. Although Vanier is right next to Ottawa’s Downtown, it still has a very neighbourly ambience. You can expect to be invited to a few block parties and community events – you’ll wonder why you haven’t moved here sooner! There is still work to do to create the Vanier that the residents envision, but they are working together to make this come true. This desire brings people together as in no other Ottawa neighbourhood. If you believe in retail therapy, this is a neighbourhood for you. Serious shoppers head over to the St. Laurent Shopping Centre or the Ottawa Trainyards. Both are nearby and offer an abundance of stores. Recreational shoppers can make for Beechwood Avenue and enjoy browsing the shops along this rewarding street. Then grab a cup a coffee on an outdoor patio and you have yourself a pretty epic day! Next, you might want to grab a bite to eat. Luckily, there are a ton of amazing restaurants in your new neighbourhood. For something spicy, take a trip to Creole Sensations. For a little less heat, check out El Meson or Table 40, or for tasty pub fare try The Black Irish Pub. If you get tired of indoor activities, go for a nice stroll along the Rideau River and into the magnificent Kingsview Park. Don’t forget to have a look across at the historic Cummings Island. There is also the lovely Beechwood Cemetery in the north of the neighbourhood. 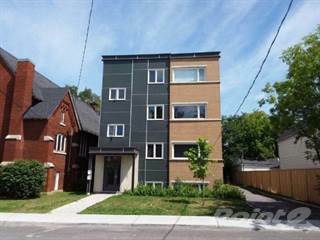 Whilst you can find just about any type of home in Vanier, most are condominiums or apartments. Along Vanier Parkway and down Montreal Road, you will find several low and high rise buildings as well as mixed use apartments. 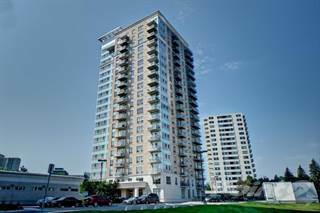 Closer to Beechwood Avenue you will find some beautiful new developments such as the Domicile and Sonia condos. Although condos and apartments are easier to find in Vanier, there are also detached houses on tree-lined streets. Towards the northern section of the neighbourhood, in particular, you will find gorgeous homes, perfect for raising a family. Pollution is not an issue in this part of Ottawa. And the new beautification program is ensuring that the streets remain clean and free of garbage. Regarding noise pollution, you might have slight disturbances if you live on Montreal Road as it can get quite congested with traffic. But for the most part, you can expect to be living in a quiet and clean neighbourhood. In the past, Vanier has been known to be a little rough around the edges. However, over the last few years, crime prevention and beautification efforts have increased in this neighbourhood. Although Vanier still sports a crime rate above the Ottawa average, it has seen crime decrease by almost 7% over the last two years (source). This decreasing trend speaks volumes, indicating that the area is improving and is therefore a great Ottawa neighbourhood to invest in. Vanier residents will be the first to tell you that it is safe to walk the neighbourhood’s streets, and they usually go on to tell you how very friendly it is here. One of the many benefits of living in Vanier is the wide selection of schools. Young children can attend the General Vanier Public School, which offers a variety of language courses; so, if English is not their first language, this might be the school for them. The Robert E. Wilson Public School focuses on developing your child’s intellectual, social, emotional and physical needs. There are also two excellent Catholic elementary schools nearby: the prestigious Our Lady of Mount Carmel and St. Michael schools. Both offer an excellent curriculum and a focus on instilling the proper attitudes to help your children grow up to be young adults. For teenagers, you will be happy to know there are also a couple of excellent high schools nearby. There is the popular Rideau High, which puts an emphasis on inspiring and creating model citizens. Slightly further away, there is the Lester B. Pearson Catholic High School, which aims to promote faith and belief in oneself and one’s community. Accessing all of Ottawa is a breeze when you live in Vanier. There are several major OC Transpo bus routes: the #14 connects you to the eastern and western regions of Ottawa, including ByWard Market, while the #2 and #18 routes open up the northern and southern areas of the city. Other buses in the area include the #9 and #12, which run along the busy Vanier Parkway. Whilst most of the buildings in the area are condominiums or apartments, there are also houses with gardens, and you can raise a family here in style. Some areas near Beechwood Road are particularly suitable. The abundance of schools and the area’s neighbourly feel add to the benefits of making Vanier your new home. From shopping to stunning parks, this is a community that continues to develop and impress. If you are looking for an investment opportunity, or just the experience of true city living on a limited budget, Vanier is for you.